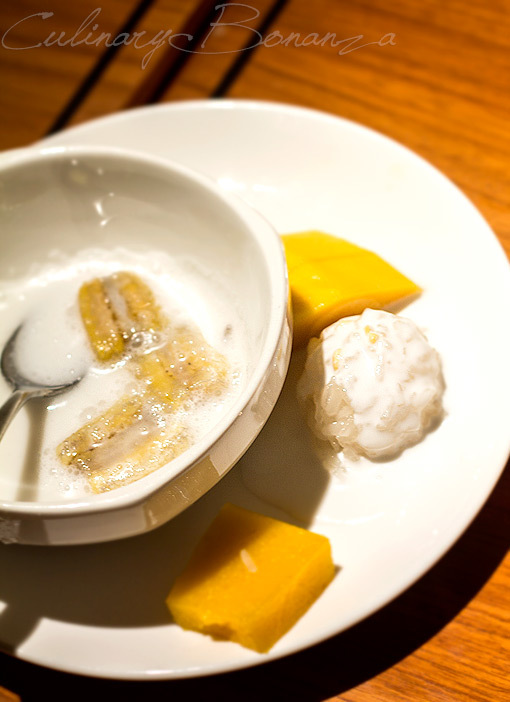 What is considered to be True Thai Flavours? The liberal use of coconut milk? 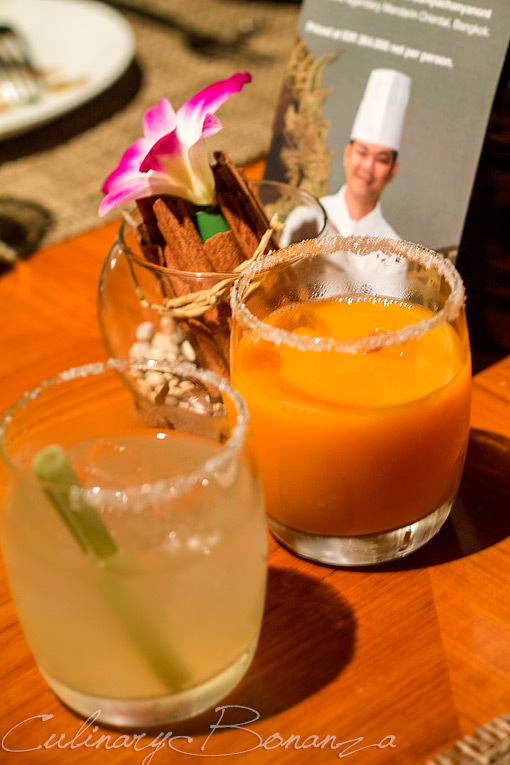 The bold & spiciness of the fresh seafood dishes? 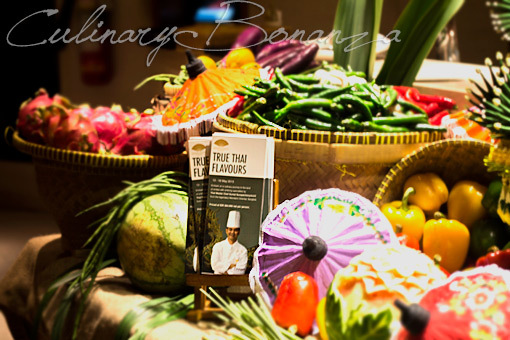 This week, Mandarin Oriental Jakarta is playing host to Thai Master Chef Sumet Sumpachanyanont of Mandarin Oriental Bangkok. 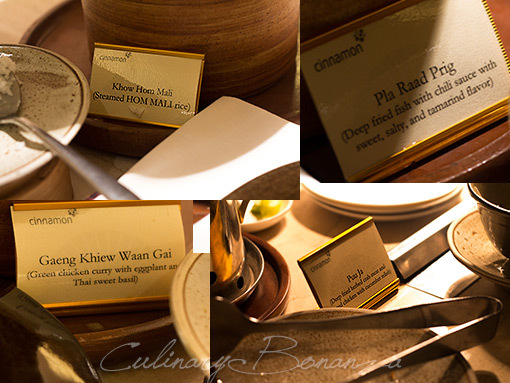 From 13-18 May 2013, the public can delight in delicious and authentic Thai classics for the price of IDR 264.000/pax net at Cinnamon, the all-day-dining restaurant of MO Jakarta. I'd say one week promotion is short enough to make you rush down to Cinnamon and it is long enough for you to make the time within your hectic schedule. 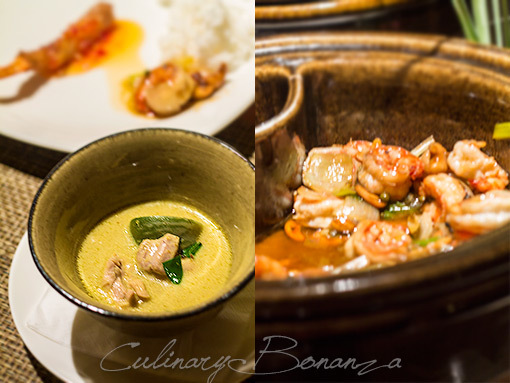 Gaeng Khiew Waan Gai, Thai Green Curry (chicken) was obviously the star of the evening. Our entire table had to wait for quite some time before the curry was replenished. The curry was creamy & had generous tender chicken chunks, green aubergine and chili. The spices were perfect, but in my opinion, it could use more chili, really hot chili that is. There are 2 Thai live stations: Pad Thai and Som Tam Thai. 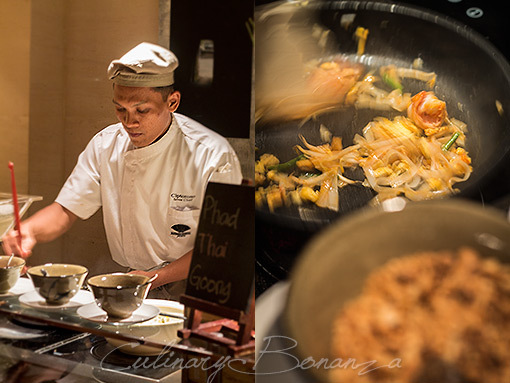 The Pad Thai tends to taste sweet from the use of plum sauce, but if you're more into savoury stuff, you can request to use less of the plum sauce. I like mine with lots of chives too, and I added extra peanut topping. 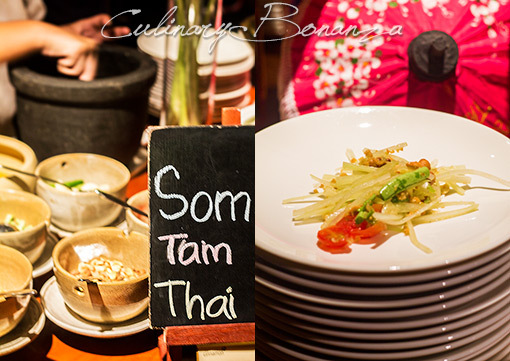 Another live station is the Som Tam Thai, which is fresh julienne of crunchy green papaya, bean sprouts and string beans, served with a mixture of ground spices like garlic, ebi, peanut, etc. I'd say all of the Thai items are the must-tries. Well, I know the classic Western, Indian, Chinese & Japanese sections are irresistible, but make a point to try all of the Thai items before straying. As for myself, I couldn't resist the sushi and the seductive Salmon Coulbiac served with Mushroom Sauce & condiments like dijon & french mustard.